Read just about anything on Elimination Communication and it won’t be long before you come across the phrase, “EC journey.” Beginning with the first experiences of baby eliminating in a potty, and ending with a toddler or child who independently takes herself to the toilet, an EC journey encompasses a full range of methods, choices, leaps and falls along the way. Like any other aspect of parenting, there’s no one way to do EC that works for every child or every family. And, like many other aspects of child rearing, what works today may very well not work as well tomorrow. Does your baby have to be “diaper-free” to do EC? No! This is a misconception many people have that prevents them from even getting started on EC in the first place. It is not always possible or practical to avoid all misses(See “Language of EC,” in this issue), so backup diapering is part of the picture. 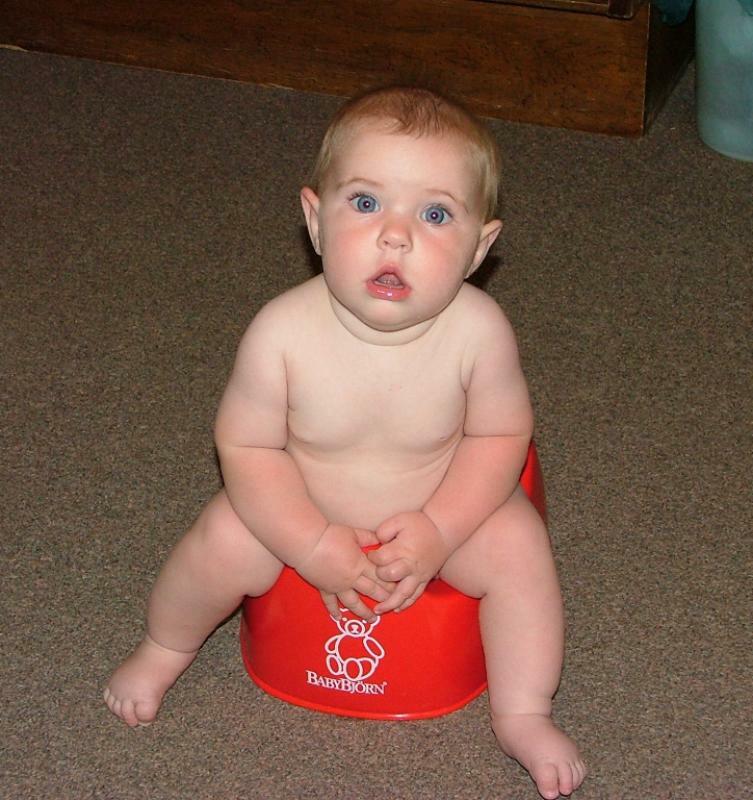 The fact is, not only do most EC’ers use diapers, they use a wide variety, both disposables and cloth. When doing EC, part of what makes it easy is having your child dressed in clothes that are easy to take off. But that doesn’t mean that you can’t put your child in ordinary baby clothes. Fortunately, there are lots of options out there, as well as some pieces specific to EC’ing that are uniquely adorable. These are historic times. In the early twenty-first century, there is more support than ever for EC parents in industrialized societies. Even so, some newcomers to infant pottying still feel they face an uphill battle where support is concerned. The very concept of potty teamwork with infants sometimes strikes uninformed friends and relatives as ridiculous, impracticable or impossible, and in such situations, some parents may not have the societal support and examples that teach, inspire and sustain mothers in traditional societies. This summer marks the end of a year during which DiaperFreeBaby Mentors, Contacts, and members were instrumental in helping to raise public awareness of the gentle practice of Elimination Communication, or EC. We’ve seen great numbers of parents flocking to DiaperFreeBaby for information because EC resonates with them for so many reasons: it encourages parents to listen to their babies and to stay attuned to their needs while allowing them to approach diapering in the most ecologically sound and reasonable way there is. These links are for informational purposes only. DiaperFreeBaby does not endorse any particular product, but is interested in providing information on resources and stores for acquiring supplies for the practice of Elimination Communication. The products/resources shown have been selected by DiaperFreeBaby to support you in your practice of Elimination Communication. Some products may represent the practice of Elimination Communication in a manner that varies somewhat from the Philosophies of DiaperFreeBaby. DiaperFreeBaby does not endorse any particular approach to the practice of Elimination Communication except as described in DiaperFreeBaby published materials. Please contact us if you would like to recommend a website or product.